You are here: Home / Columns / 2001 Columns / Jan. 8, 2001: It was not my alma mater’s finest hour. One of the students was Charlayne Hunter and the other, Hamilton Holmes. Hunter had finished third in her graduating class at Turner High School in Atlanta. Holmes had been valedictorian at Turner, as well as president of the senior class and co-captain of the football team. Although I had been graduated a couple of years before they applied, I must confess I had gotten in UGA with a record that paled in comparison to theirs. As was the custom in those days, the university had balked at admitting the two black students and had earned itself a lawsuit. Ironically, one of the attorneys suing the institution on behalf of Hunter and Holmes was Horace Ward, who himself had been denied admission to the UGA law school a decade earlier. Getting in Georgia was one thing. Staying there was quite another. Just three days after arriving, Hunter was greeted at her dorm by a mob hurling bottles, bricks and profanities before being dispersed by police and the legendary dean of men, William Tate. 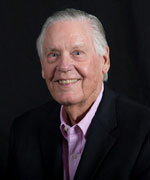 (No student protesting any issue – including the integration of the University of Georgia – would have dared challenge Dean Tate. He was a giant of a man.) Holmes and Hunter went back to Atlanta while tempers cooled down on campus. It took another court order, an expression of concern by some 400 UGA faculty members and a rare show of courage by state political leaders to get them back in school to stay. In 1963, both Hunter and Holmes were graduated from the University of Georgia. Hunter began a journalism career and Hamilton Holmes, who had been elected to Phi Beta Kappa, received his medical degree from Emory University and became an orthopedic surgeon. It is a far different and much better university that recently commemorated the 40th anniversary of the desegregation of the institution. As a part of the ceremony on campus, the landmark Academic Building was appropriately renamed the Holmes-Hunter Building. Included on the program were former Governors Ernest Vandiver and Carl Sanders. It was in part because of these men that Georgia opted to do the right thing and shun the race-baiting — and futile — tactics of George Wallace in Alabama and Ross Barnett in Mississippi. Forty years later, we are still trying to do the right thing. Now, however, the University of Georgia is under legal attack for trying to be more inclusive, not less. Go figure. I have never met Charlayne Hunter (now Hunter-Gault) but I got to know Hamilton Holmes well when we served as trustees on the University of Georgia Foundation. I was the better for it. I found a quiet, self-effacing person who seemed to bear no ill will for what we had put him through some two decades earlier. In that way, he reminded me of another great man, Andrew Young, who was on the front lines of the civil rights movement and came out the other side of that maelstrom as loving of his fellow human being as when he entered. Like Young, Hamilton Holmes suffered the slurs, the insults, the meanness and the hypocrisy of “separate but equal” with dignity, class and courage and showed us that he was bigger than his enemies. Like Young, he should forever serve as a role model to both blacks and whites instead of the current crowd of race-mongers who seem intent on dividing us instead. I just wish my friend could be here to observe the progress his university has made. He would be pleased. While he would be loath to take credit, his bravery helped change the course of history in the state of Georgia. Unfortunately, Hamilton Holmes died in 1995 at the age of 54. It was much too early. I believe that we should all leave this world better than we found it. Many of us try. Most of us fail. A few manage to do it. Hamilton Holmes was one of those people. I am privileged to have known him.